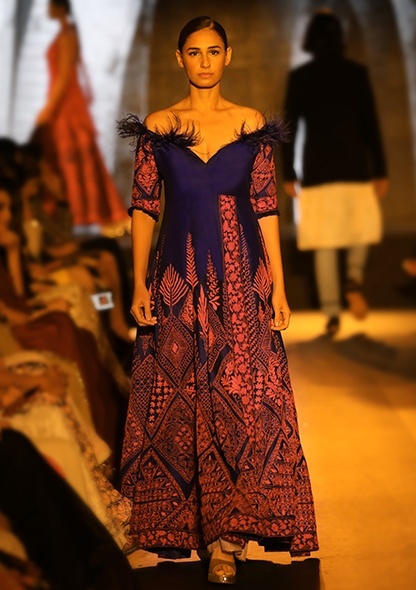 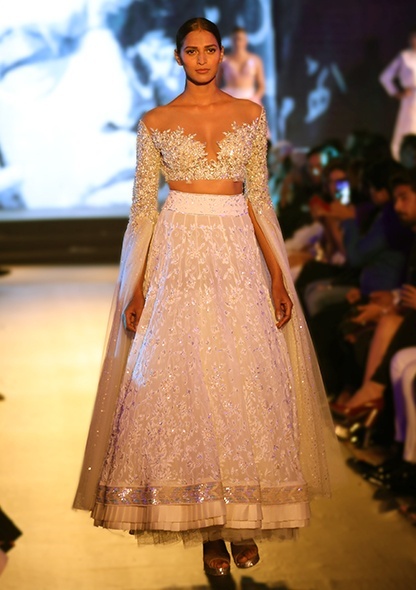 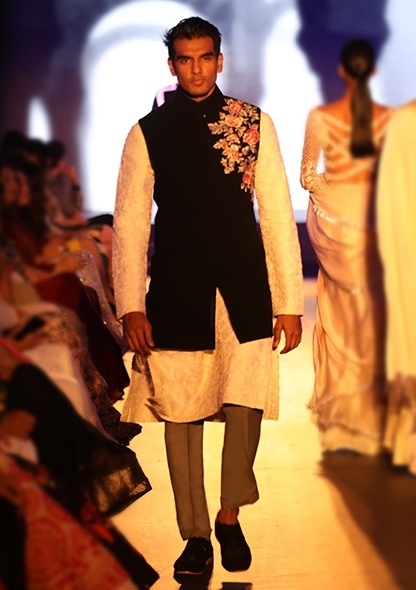 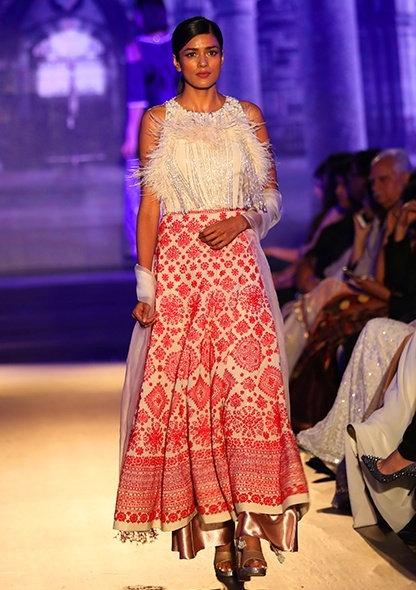 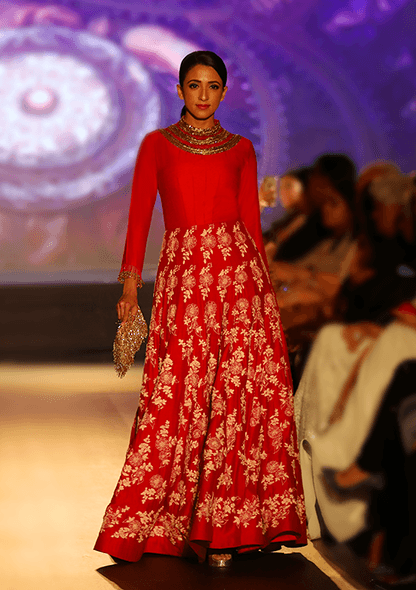 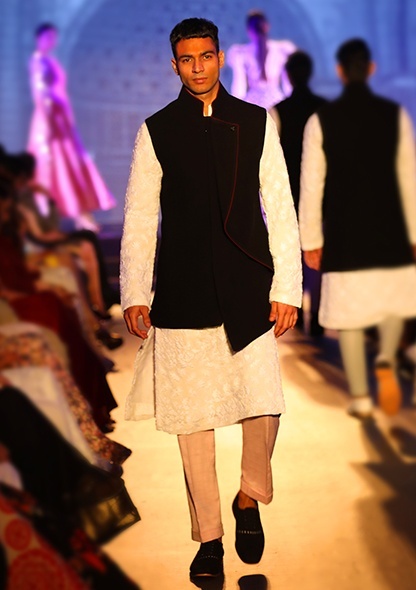 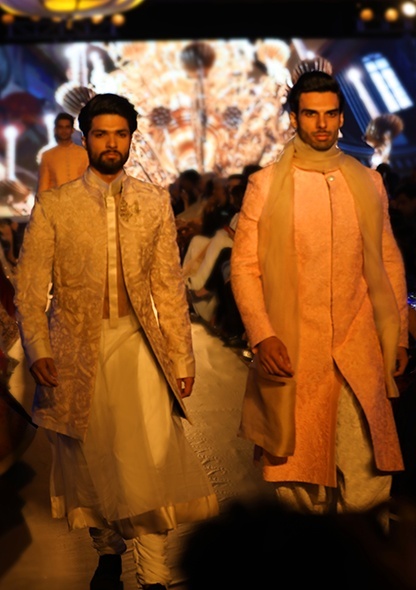 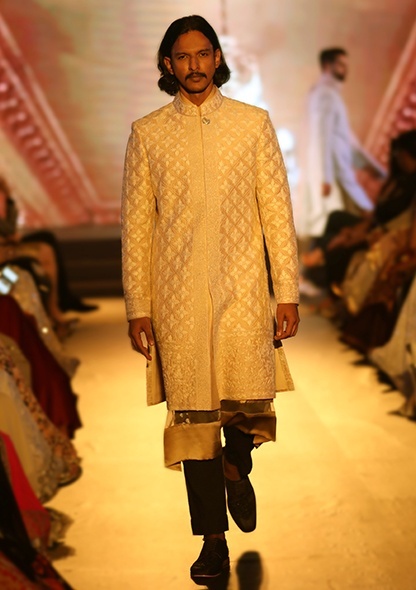 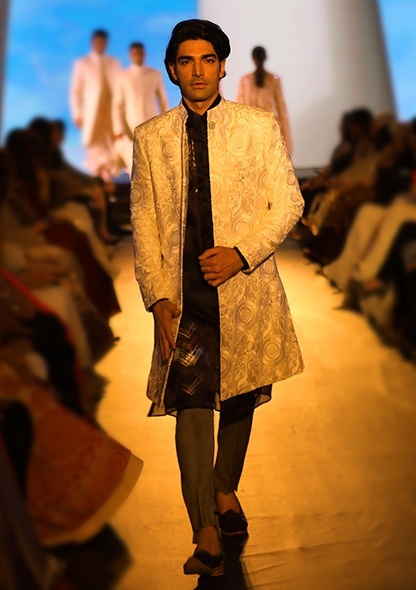 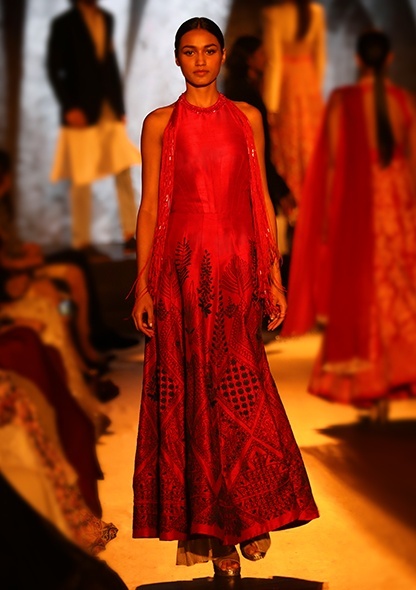 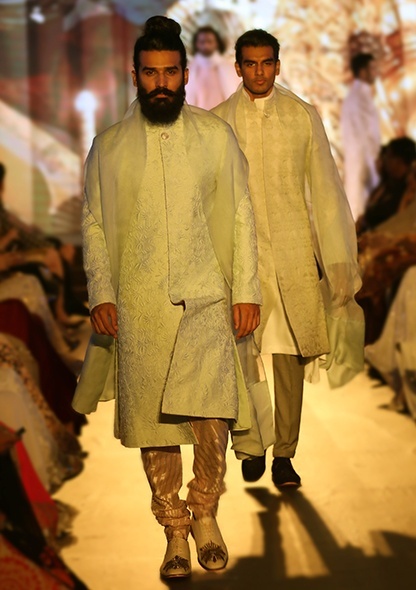 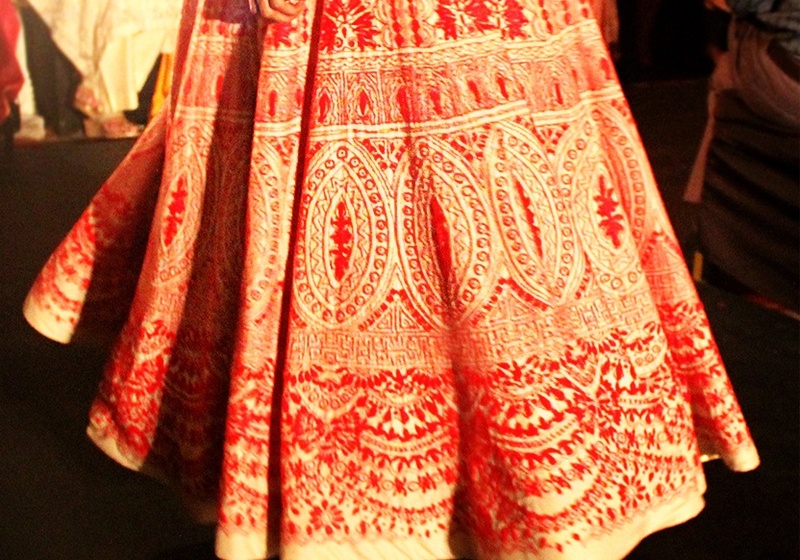 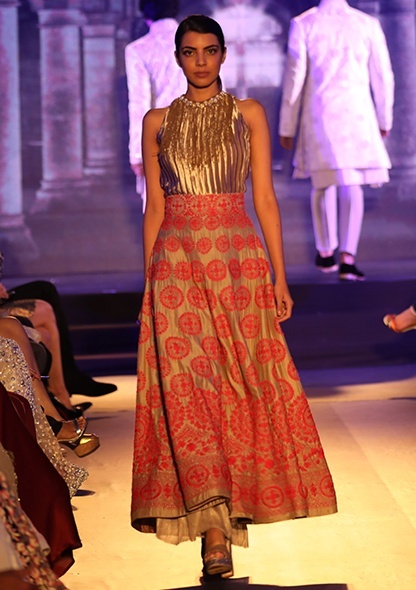 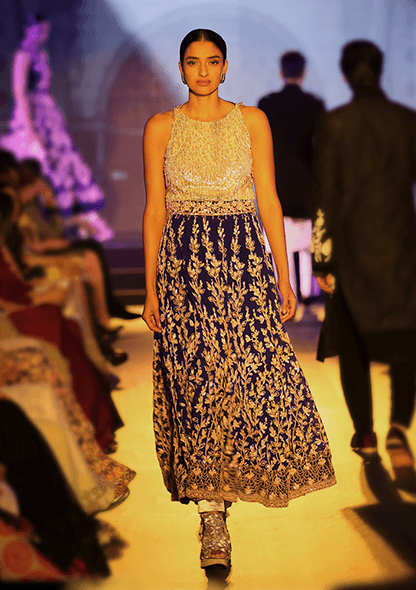 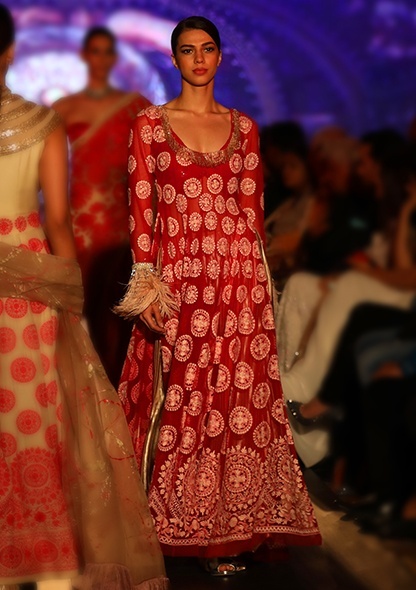 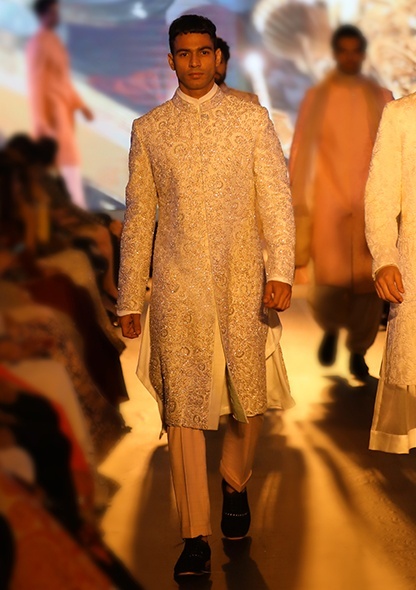 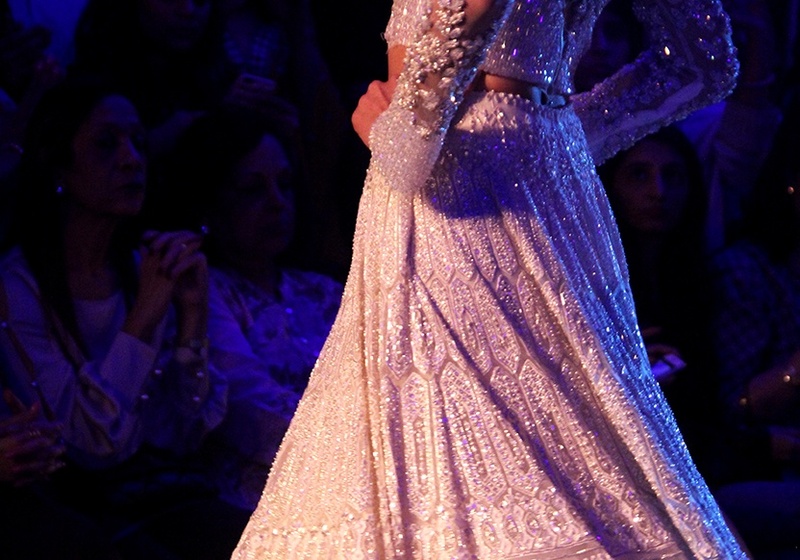 Manish Malhotra and Mijwan Welfare Society celebrated Seven glorious years of their association over a show that presented Chikankari reinterpreted through a modern lens. 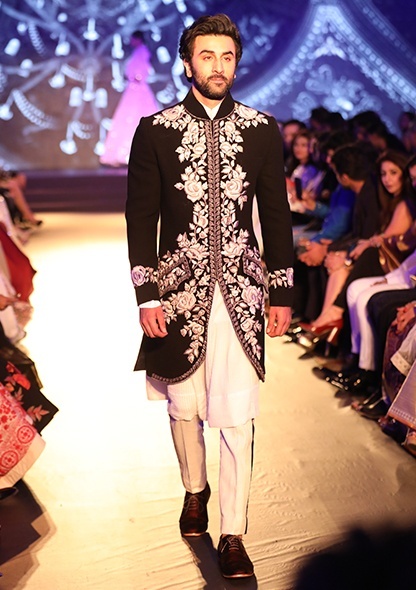 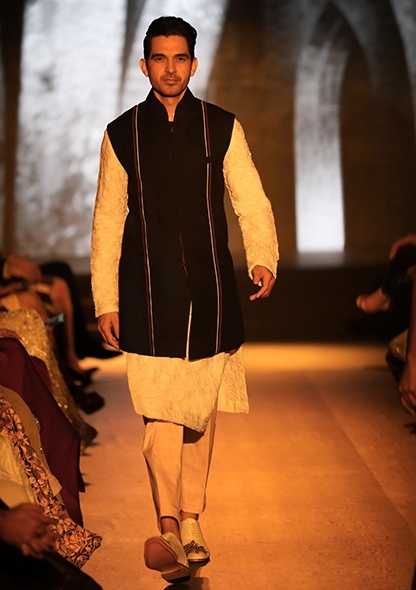 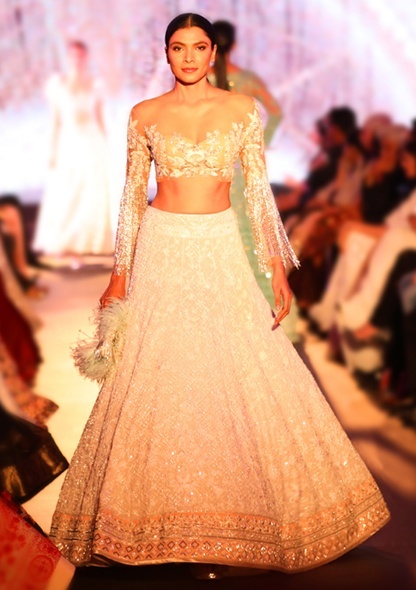 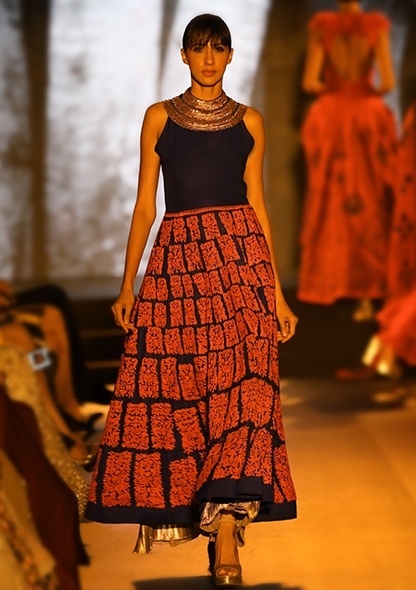 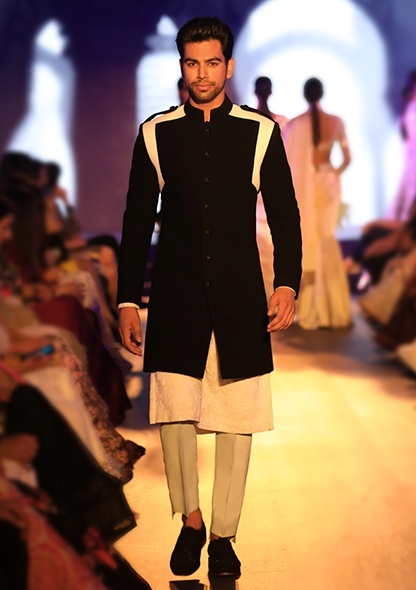 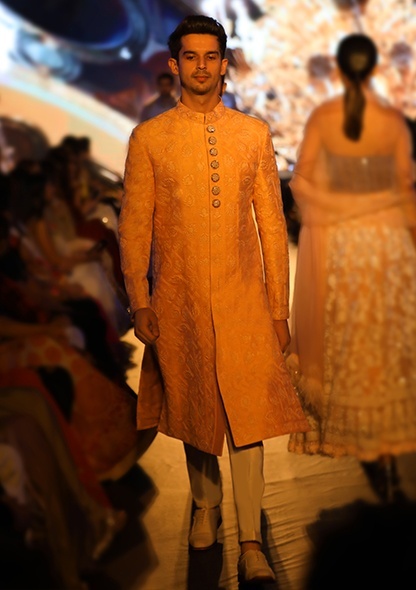 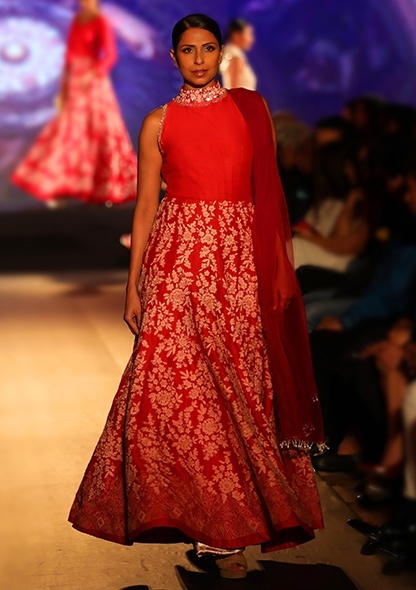 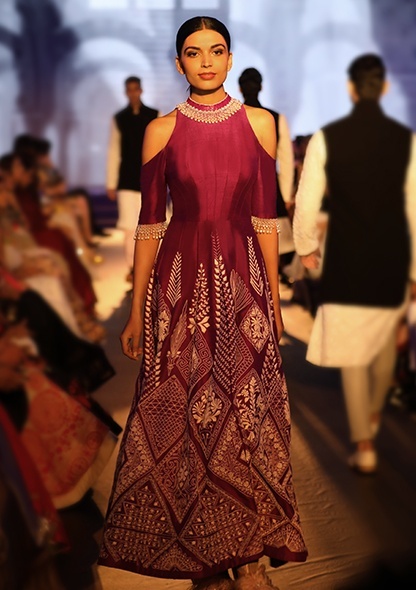 Manish Malhotra’s eponymous label paid tribute to the versatile craft with a collection aptly named - 'The Walk of Mijwan'. 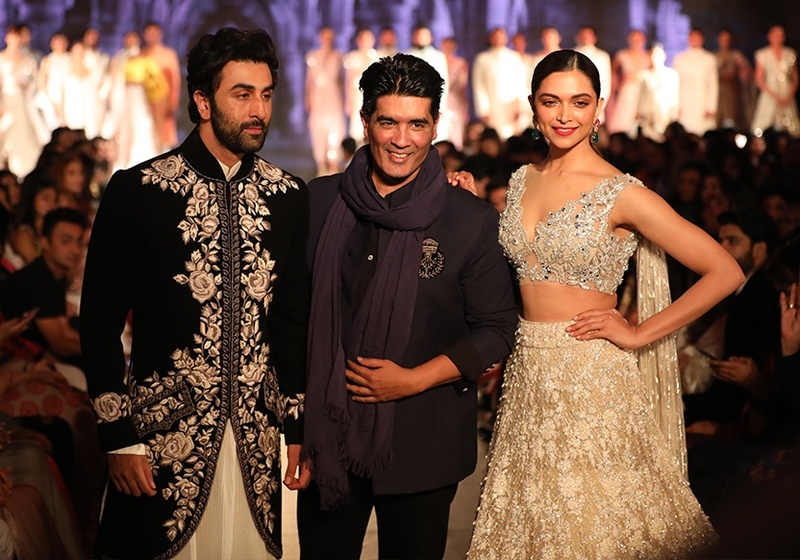 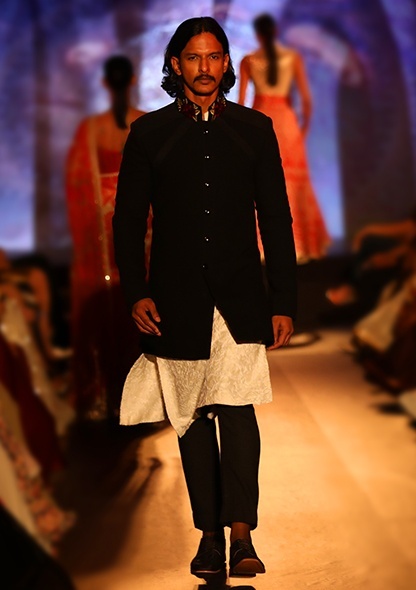 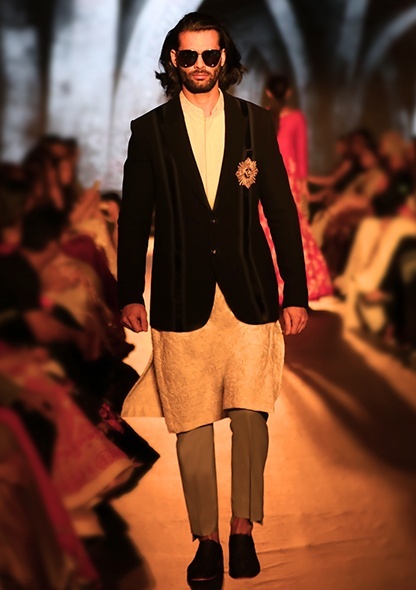 Deepika Padukone and Ranbir Kapoor took to the ramp at the JW Marriott Mumbai, for the NGO founded by Late Kaifi Azmi and headed by Shabana Azmi and Namrata Goyal. 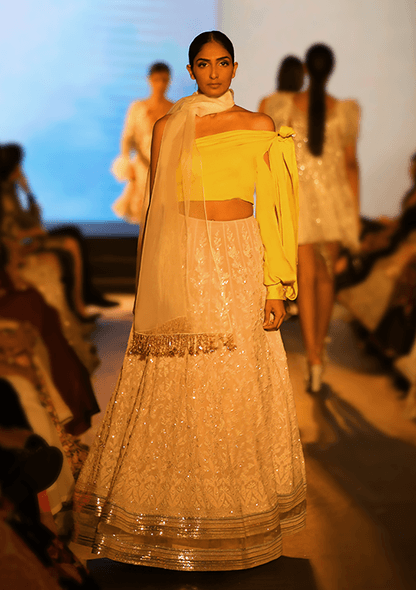 Following the label's endeavour to translate traditional craft into effortless couture, this year, the collection is more contemporary and glamorous. 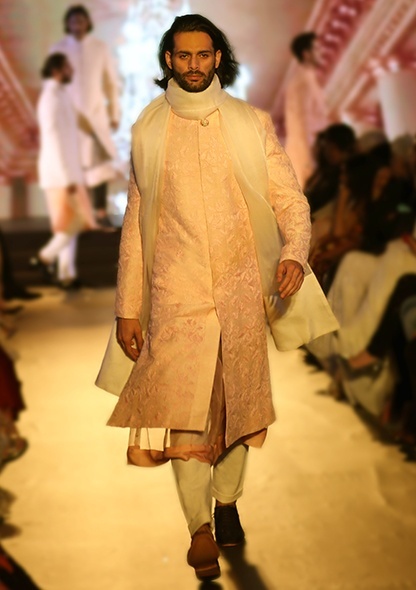 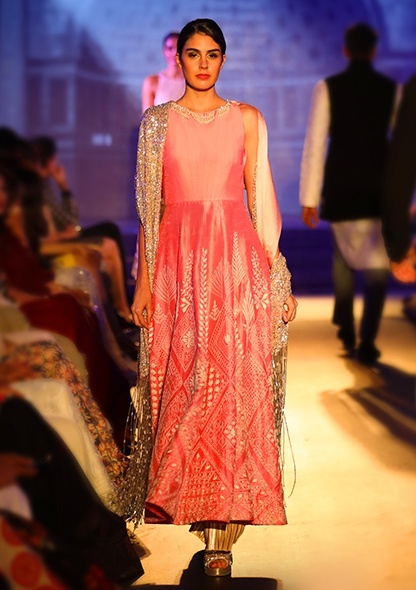 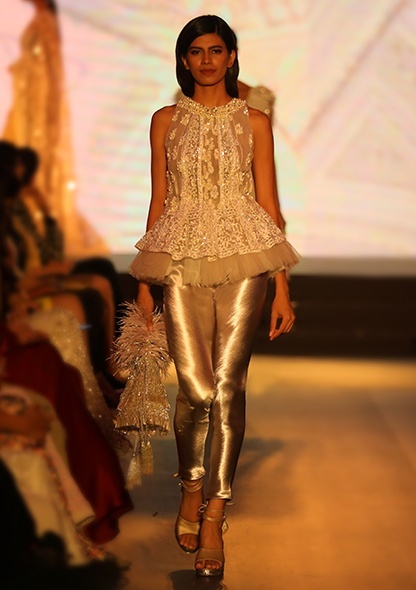 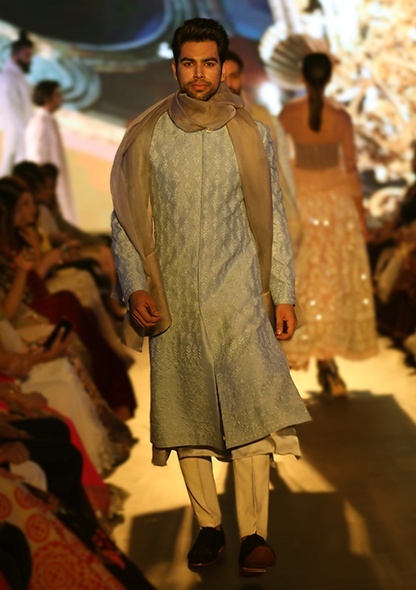 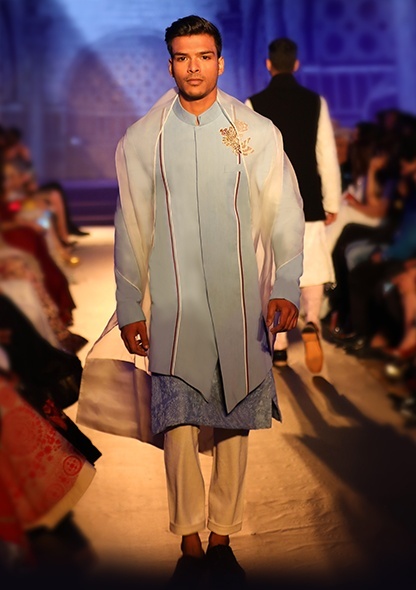 The Walk of Mijwan relives the vintage charm of a bygone era with sheer lightweight fabrics in pastel hues, showcasing the intricate art of Chikankari. 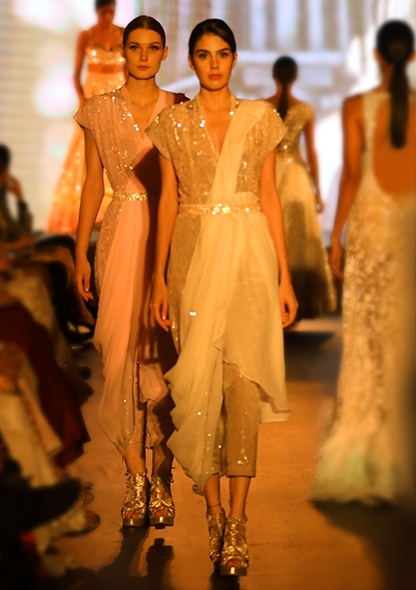 The collection is a beautiful play of muted shades of white, beige, lilac, aqua and baby pink along with darker shades of red and blue. 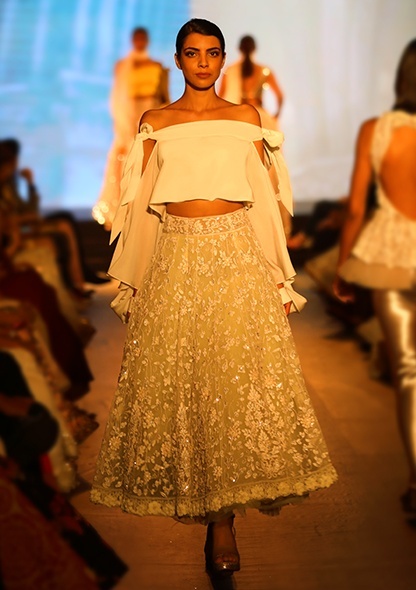 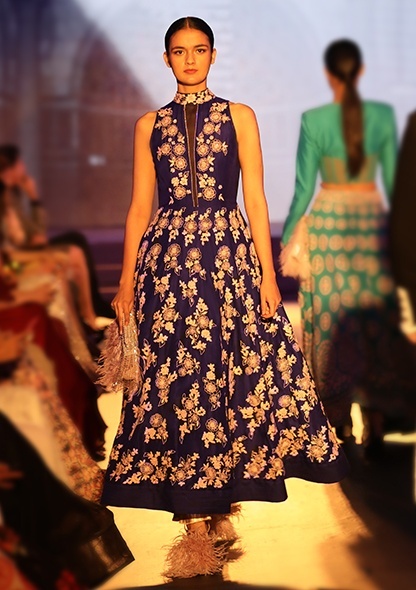 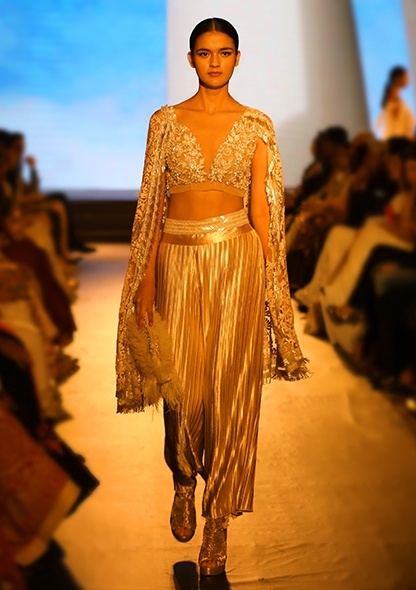 Along with with lehengas, the collection also presents opulent, T-length skirts, sheer long and short capes, dresses and also elaborately embroidered shoes and fringe clutches. 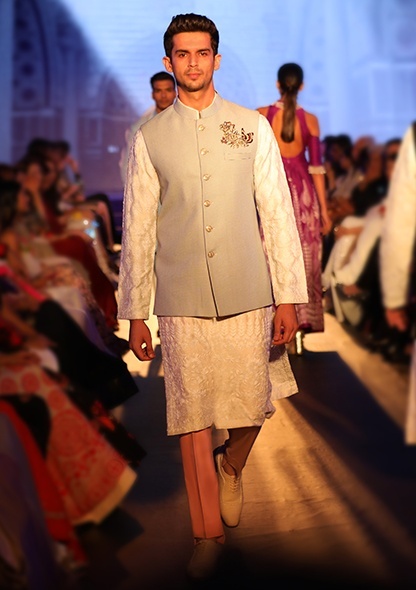 Speaking about his association, Manish Malhotra says, "The craft of Chikankari forms the very foundation of each Mijwan collection. 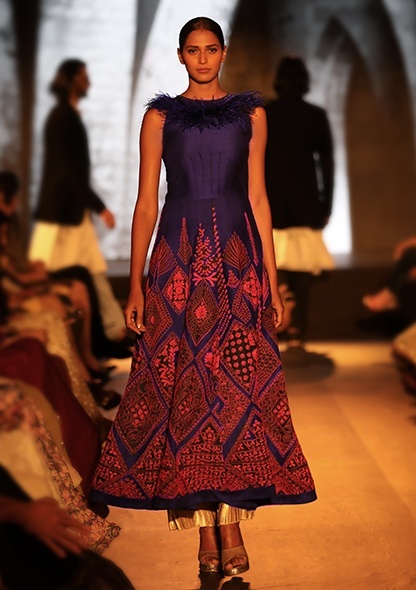 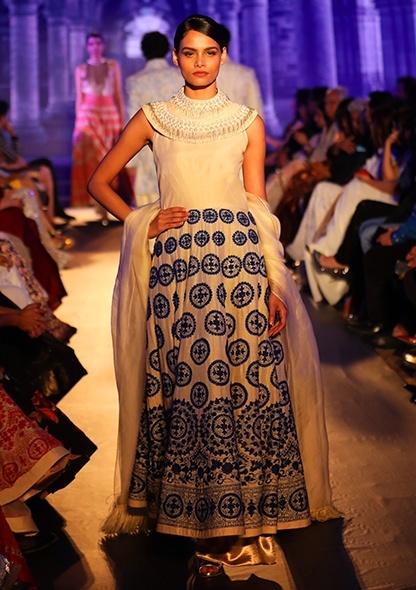 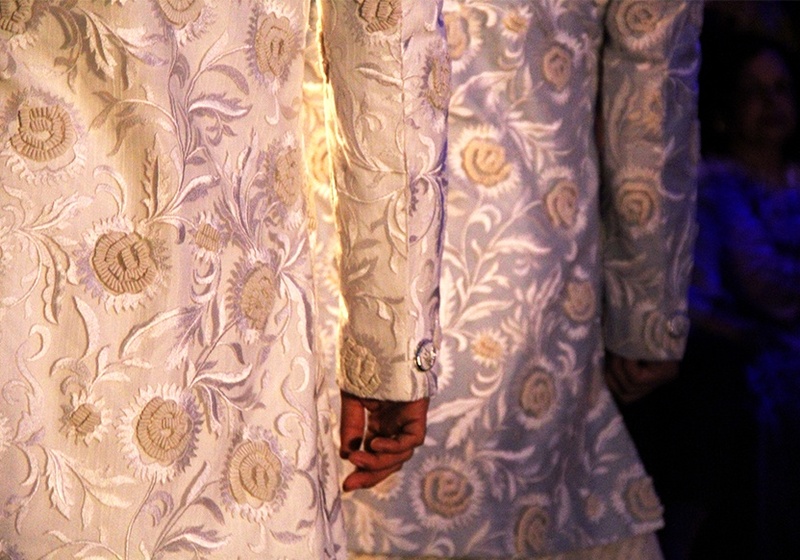 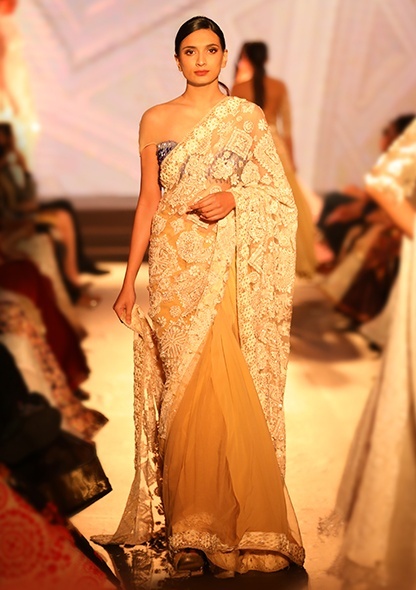 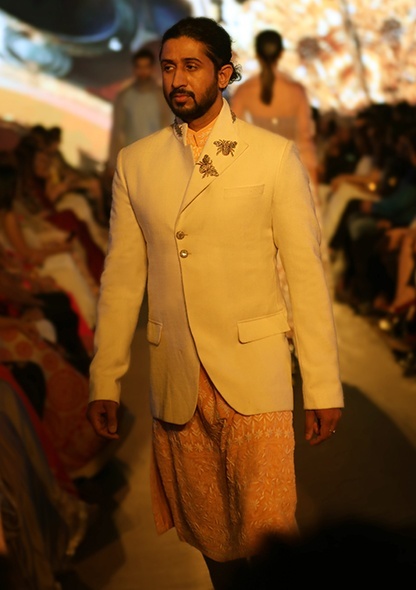 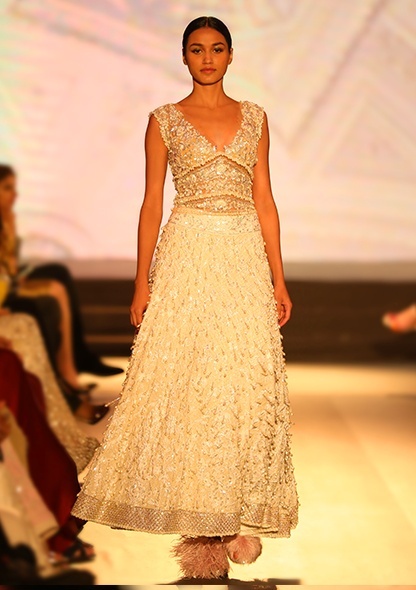 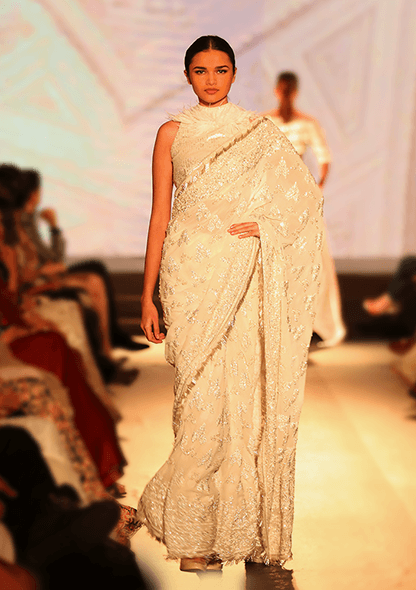 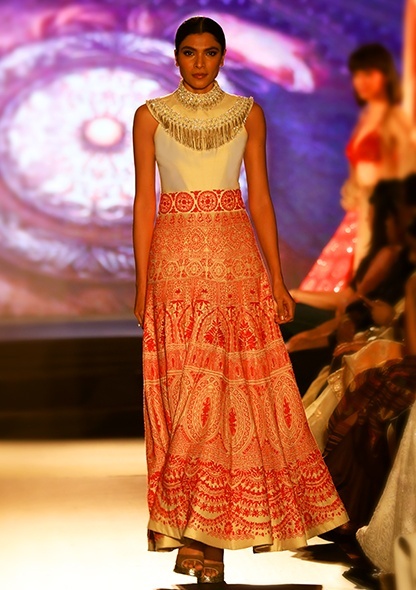 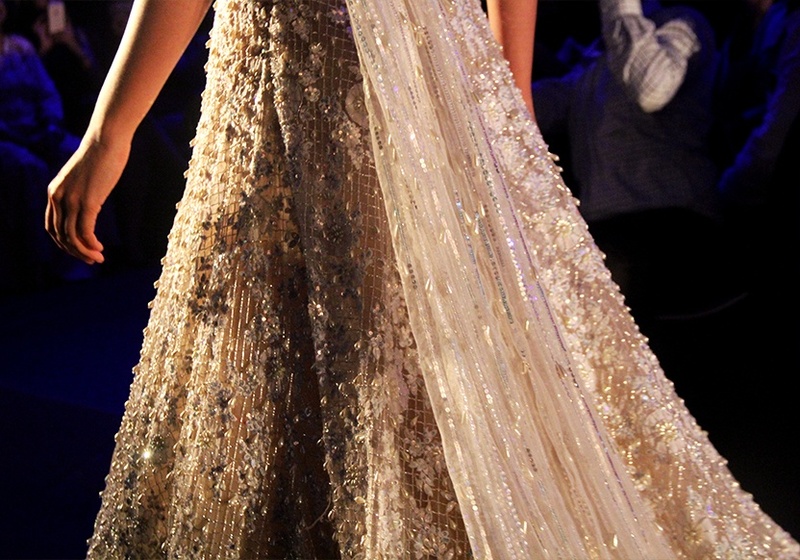 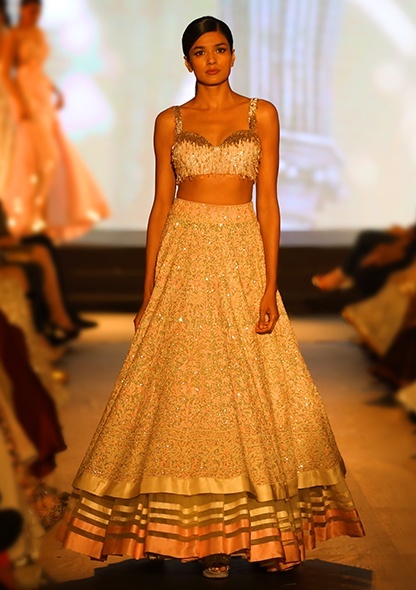 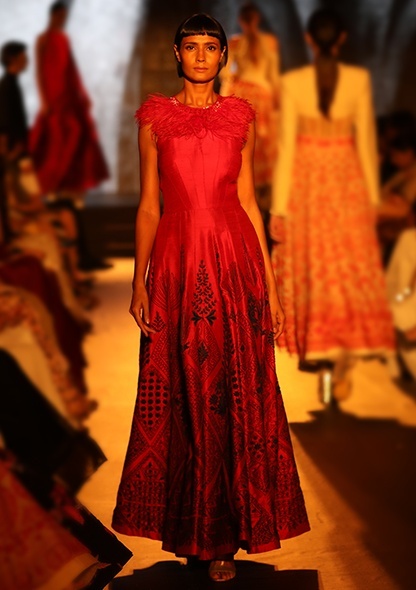 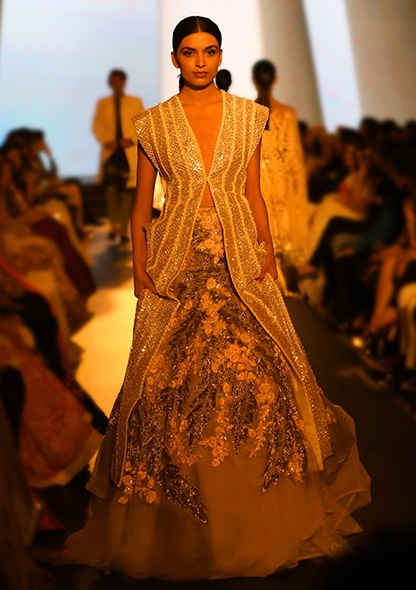 To most Indians, Chikankari evokes beautiful visions of diaphanous fabrics and refreshing hues of summer. 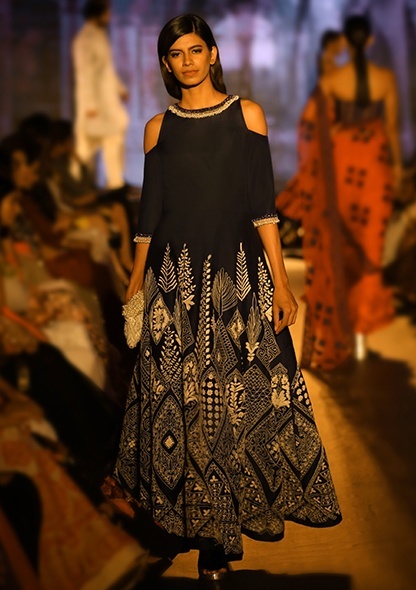 The beauty of Chikan embroidery is that it's very versatile – it looks as good on a Western silhouette as it does on a lehenga. 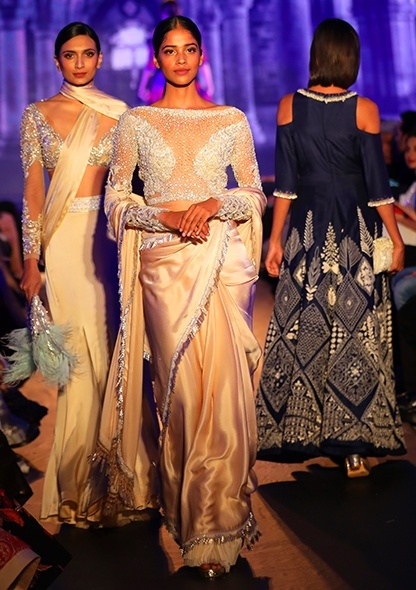 With 'The Walk of Mijwan' we have taken yet another step towards presenting a legacy craft using a design language that resonates with the preferences of the contemporary fashion-lover across the globe."